I never thought that I'd be writing about racist cupcakes. But there's a first time for everything. If you follow me on twitter, you've seen the back and forth between many food bloggers today about Duncan Hines Amazing Glazes video. Take a look here. I think that people are getting distracted by the cute voices and music. Which isn't hip-hop at all. But that's not the point. Watch it with the sound turned off. Then think about the history of blackface in America and look at the images in this video of black stereotypes. The googly eyes and big pink lips are very characterstic. I didn't watch the whole thing, but needless to say, it is offensive to me and to many others. The Hip-Hop Cupcake ad is cupcakes in blackface. Many don't see it that way and may say, "Get over it. Stop thinking about the past. It's just cupcakes." Well sometimes things that are very simple and seem benign end up having a very negative effect in the long run. These images get in our subconscious. Remember Joe Camel who got kids thinking about cigarettes? Targeting kids with cigarettes is wrong and deadly. I cannot imagine that the creative and management teams that approved this video were comprised of many people of color, if any. A diverse team would have nipped this in the bud. Looking at the Management Team of Pinnacle Foods, I do not see any racial diversity. Not much gender diversity either. Only one woman. Pinnacle Foods owns Duncan Hines. Their website still has the press release online announcing the video: Duncan Hines Unleashes Creative Baking Fun With New Inspirational Video Series. Here's a portion of the release below edited to add links. To inspire creativity during the height of baking season, Duncan Hines partnered with Filmaka to tap four professional filmmakers for their one-of-a-kind vision. Each director offers their own interpretation of the passion, creativity and fun behind baking that the Amazing Glazes toppings inspire. 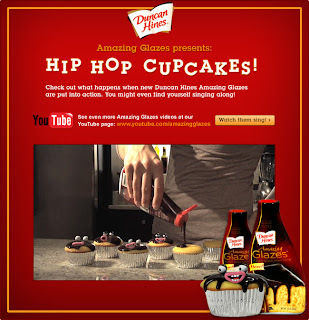 The first video in the series, called "Hip Hop Cupcakes," launched today at YouTube.com/AmazingGlazes. Created by Josh Binder, a Chicago-based director, "Hip Hop Cupcakes" portrays how Amazing Glazes make any delicious dessert "sing." 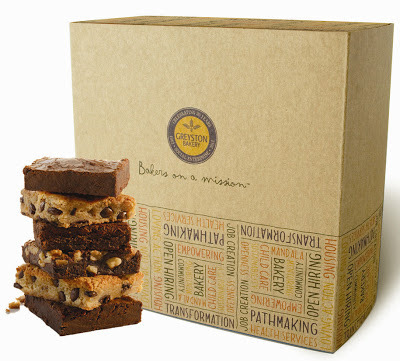 Binder's inspiration for the video was bringing to life the joy of baking. "I wanted to create an entertaining and engaging way to show bakers that this glaze makes everything you top taste better and more exciting." I would have thought that if they were going to leave the press release up, they might have issued an apology there too. They have not, but did pull the video from their website. I don’t know what the real Duncan Hines would say about “Hip Hop Cupcakes” but in my opinion, the thinking that allowed this commercial to represent a very important brand was far from innovative or inspired. Below is a list of posts by other bloggers who I suspect would agree. How can you say a cupcake commercial is racist?? Nice insight. Thanks for sharing. Part of the problem is that racial, ethnic, and gender diversity is missing from so many management teams. The other part of the problem is that so many white folks "don't get it" and rely on people of color to tell them when they are out of line. Just like we need men in a group of buddies to speak up when one of the boys starts talking about the mistreatment of women, we need white people to speak up when we smell something fishy. Thanks again. Wonderful post. Thank you for shedding more light on this for your readers. All of us together have made people think and open dialougue. And as to this: "Get over it. Stop thinking about the past. It's just cupcakes." That's just your basic run of the mill white privilege on full display. Good post Lisa. I think you nailed it on how a diverse team would have stopped this before it got off the drawing board. Duncan Hines and Pinnacle Foods, and all of the other corporations/parent companies, do need to make sure they are diverse and listen to their ad teams if certain issues come up like this. We've received both sides of the argument that indicate ad teams can be some of the most diverse workplaces out there, so sometimes things may slip through the crack. Thanks for sharing! Thanks for joining in the conversation and what turned to be a debate (at least on my blog). All of this just goes to show how far we have yet to come in understanding race and being sensitive. Interesting their creative team lacks diversity, too. I hadn't heard of this "hip hop" cupcake until now. How ridiculous! lara - Thank you for reading and for your post as well! And you're right about all of us standing up and saying something when we see something that isn't right. Because even if we aren't in that particular group who is being treated badly, eventually we will be and we'll want someone to stand up for us. coco cooks - Meaningful dialogue is so important. And it doesn't happen enough. Thank you for letting us all know what happened! chris - Thanks for your continued support! I always appreciate it. It's just a little post on a little blog, but sometimes I'm surprised who reads it, so just maybe it might make a difference. 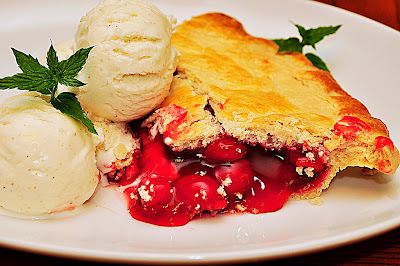 the duo dishes - Thank you for stopping by and your post as well! I guess each company is different. Some seem to get that diversity in their workforce will really help them in the longterm. Others. Well others are Pinnacle Foods. bren - Thanks for the visit! Things are pretty heated over there! Discussion is good as long as people stay respectful. Which unfortunately can be a challenge to some. *sigh* But at least it gets people thinking. Maybe people who don't seem to get it will mull it over a bit, then have an "aha moment" down the road. josephine - It seems the stupidity never ends! It's easy to say "It's just cupcakes" and for the statement to say that they want to show how the new product can "make delicious desserts sing." Then why not have both vanilla and chocolate? Then why not call it a Choir of Cupcakes or Cupcake Chorus? Why use traditionally or stereotypically black identifiers? When you do, it's not just cupcakes, and if it wasn't for some reason intentional, then it's just insidious, and then we all have a problem. And they need to hear about it.